US congressman Steve Scalise was shot in the hip during the attack at a baseball practice in a Washington suburb in which several other people were wounded. Washington: The US congressman shot on Wednesday at a baseball practice in suburban Washington is hospitalised in stable condition, his office said hours after the attack that wounded five people. "He is in stable condition" at a Washington hospital after being shot in the hip, the office of Steve Scalise, the number three Republican in the House of Representatives, said in a statement. "Prior to entering surgery, (Scalise) was in good spirits and spoke to his wife by phone," it added. 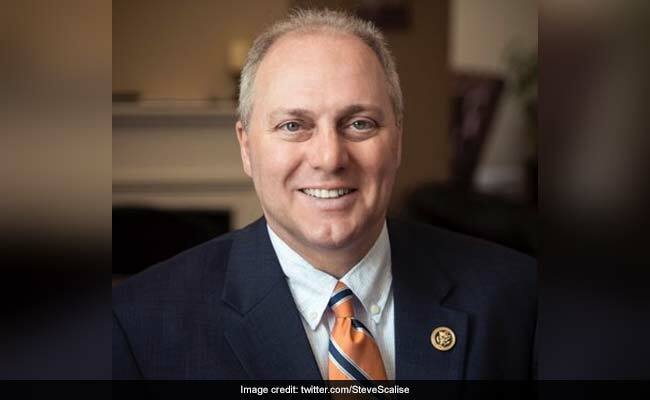 Scalise, 51, was shot by an unknown man armed with a rifle during the practice of the a Republican baseball team at a field in Alexandria, Virginia early Wednesday. Witnesses described dozens of shots fired by the attacker and Capitol Police, who are normally assigned to guard Scalise due to his high position in the Congress. Scalise was flown from the scene by helicopter to Medstar Washington Hospital Center. MSNBC, citing officials at George Washington University Hospital, where some of the other victims were taken, said two were in critical condition.